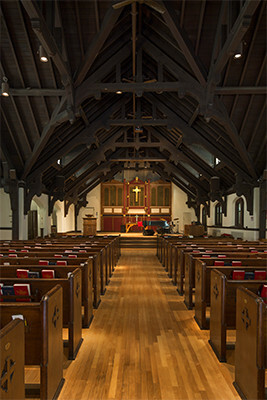 Fort Washington Collegiate Church houses a diverse congregation known for its arts-centered approach to worship. 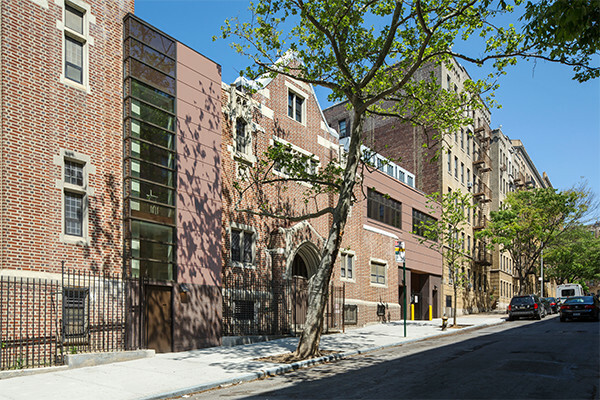 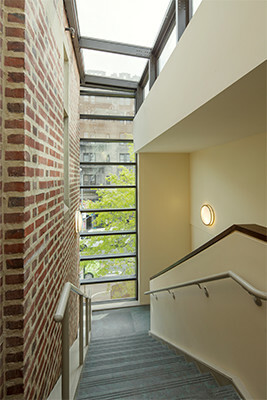 Helpern Architects both renovated and expanded its home, a 1909 Gothic Revival structure located in northern Manhattan. 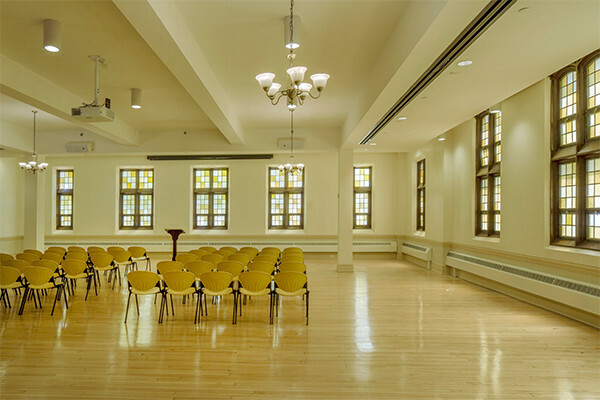 The assignment – another in an ongoing relationship with the Collegiate Church organization – included new worship and arts spaces, offices, classrooms, a nursery, and a catering kitchen. 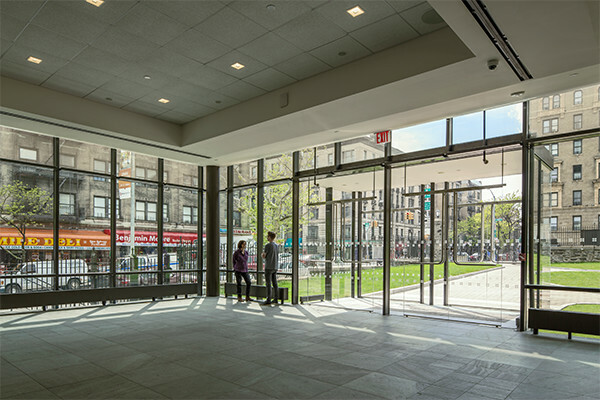 Helpern Architects’ design resulted in a sparkling addition alongside Fort Washington’s signature garden: a 1,725-sf framed-glass gathering space. 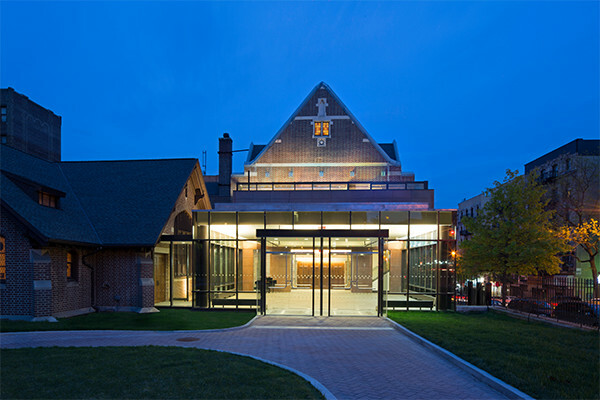 This new pavilion now serves as the entrance to the existing three-story building and provides an all-weather connection between the sanctuary and Fellowship Hall. 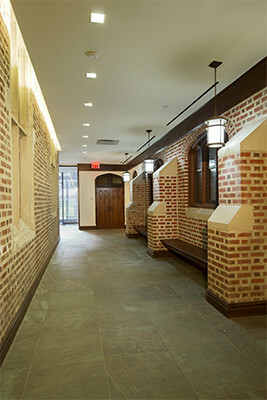 In addition, the project addressed ADA compliance and the need to upgrade lighting, electrical, and HVAC systems. 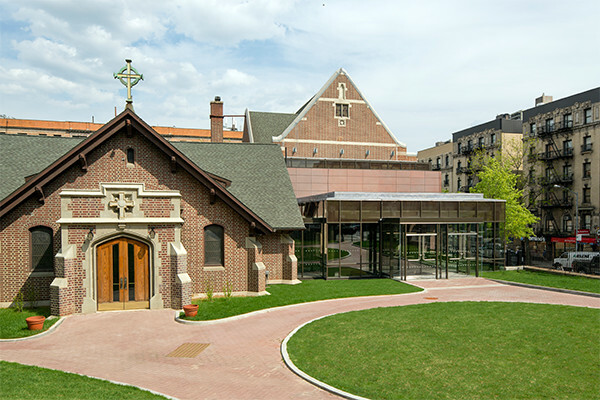 A new stormwater system was also essential, to channel runoff from the rocky, hilly site.